WASHINGTON -- President Donald Trump's homeland security adviser is resigning in the latest White House departure. White House Press Secretary Sarah Huckabee Sanders said in a statement Tuesday that Thomas Bossert would be leaving his post. She said Trump was "grateful for Tom's commitment to the safety and security of our great country." 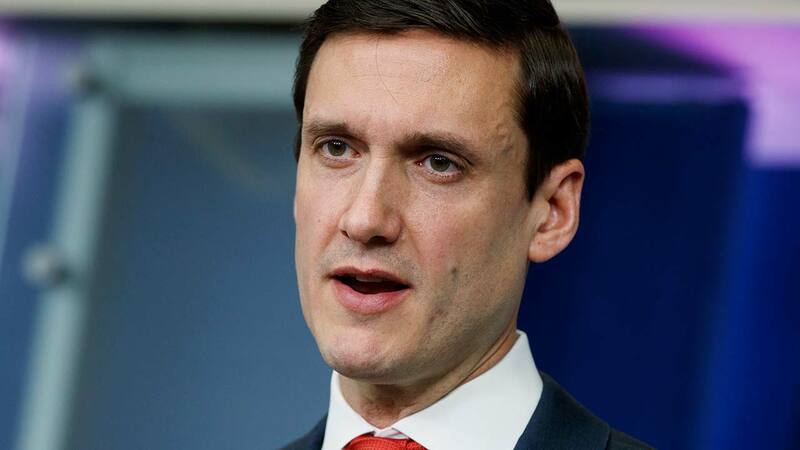 Bossert was a point person in the White House on protecting the nation from terror and cyber threats. He also helped spearhead the administration's response to last year's hurricanes in Texas, Florida and Puerto Rico. His exit is the latest in a wave of departures from the West Wing in recent months. It comes a day after new national security adviser John Bolton began his tenure.